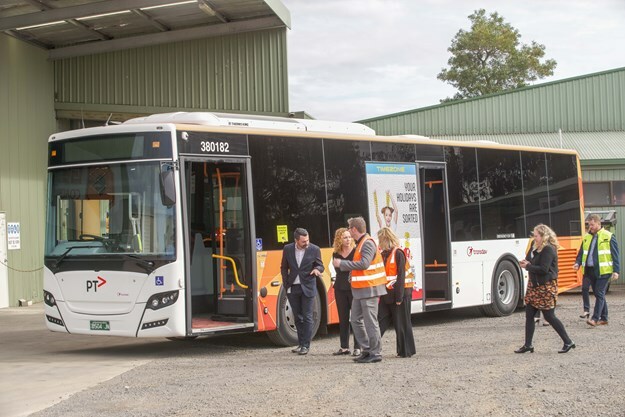 THE VICTORIAN STATE GOVERNMENT’S order of 100 Scania city bus chassis as part of the Transdev Melbourne fleet upgrade is creating up to 20 new jobs in Ballarat as it delivers a more, “reliable and comfortable fleet of buses to run across Melbourne’s public transport network,” it states. (L-R) Juliana Addison, MP for Wendouree; Victorian Transport Minister The Hon. Melissa Horne; and Michaela Settle, MP for Buninyong, check out inside one of the new Scania-Gemilang buses. The Ballarat-built buses are part of a $16 million order by the Labor Government for 100 new Scania-chassis, Volgren and Gemilang-bodied buses that will progressively start running across Melbourne’s public transport network over the next two years. 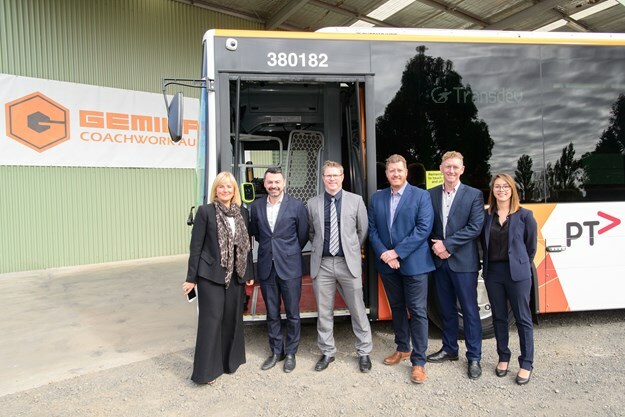 Minister for Public Transport Melissa Horne recently visited Ballarat automotive manufacturer OzPress Industries, which has partnered with South East Asia’s largest bus body builder Gemilang, to deliver 50 new buses for Victorian passengers. Recruitment for the new Ballarat-based roles, including body builders, panel beaters, aftersales staff, auto electricians and painters is underway, with the first workers already on board. This contract signals a significant re-entry into the automotive industry for OzPress Industries (some former employees will re-employed, the company says), after it significantly downsized its business following Toyota’s withdrawal from car manufacturing in Australia in late 2017. 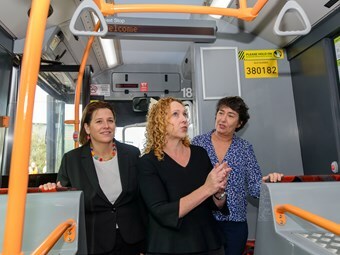 All 100 buses will be built in line with the Labor Government’s Local Jobs First policy, guaranteeing each vehicle is made with 60 per cent local content, it states. "By providing 100 new Scania chassis to Transdev, Scania is helping the operator renew its fleet; put safer, cleaner buses on the road; and give the travelling public a more up-to-date and enjoyable form of transport," said Julian Gurney, sales director for Scania Buses and Engines. "We would like to congratulate the Government for initiating such a large order to help the Victorian Public Transport system move toward a more sustainable form of transport for the travelling public," he said. 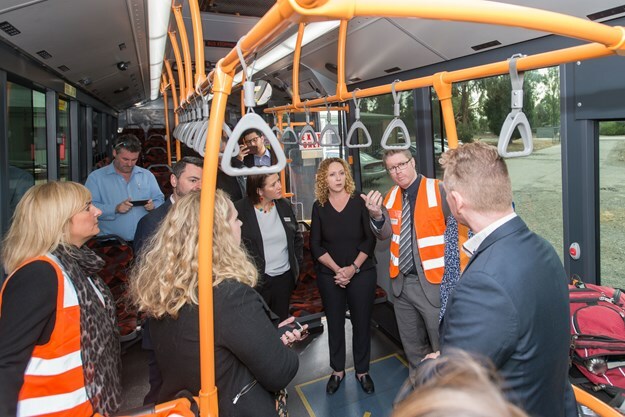 "The new buses will be used on a variety of routes within Melbourne and will constitute a 20 per cent renewal of the Transdev fleet, which runs one third of Melbourne’s route buses," he added. "The new buses will give drivers a smoother, safer and more efficient bus to drive and - with the Euro 5 310hp and Euro 6 320hp engines - will have plenty of power to cope with the hills in Melbourne’s outer suburbs. Some of the buses will be used on orbital routes, which constitute some of the longest routes in the southern hemisphere." Victorian Minister for Public Transport Melissa Horne said: "We’re delivering the biggest order of new trains, trams and buses this state has ever seen, while ensuring they are built right here in Victoria." "We’re modernising, expanding and upgrading Melbourne’s bus fleet, so it delivers a more reliable and comfortable journey for the thousands of Victorian passengers who depend on it every day." Member for Wendouree Juliana Addison said: "We are pleased to not only be creating new jobs and training opportunities in Ballarat, but also bringing new industry to our regional areas." 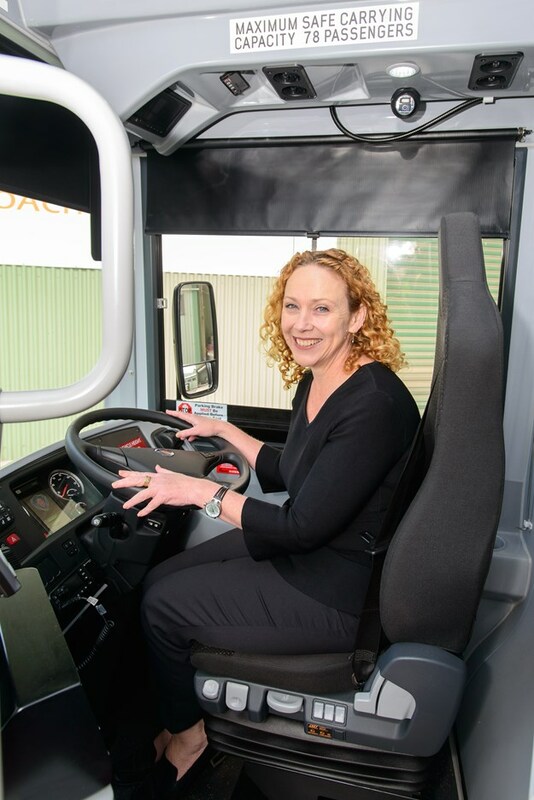 Member for Buninyong Michaela Settle said: "This partnership will see a local automotive manufacturer with more than 40 years of experience play an integral role in delivering Victoria’s newest bus fleet." 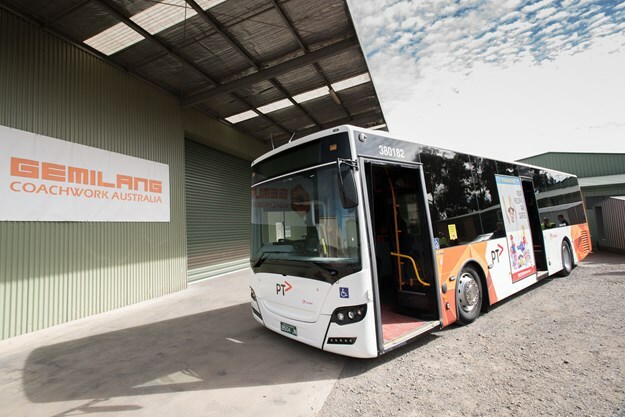 According to acting Public Transport Victoria CEO Alan Fedda, the buses will be based on diesel chassis for the time being, but future buses will be built on consideration of environmental advances. 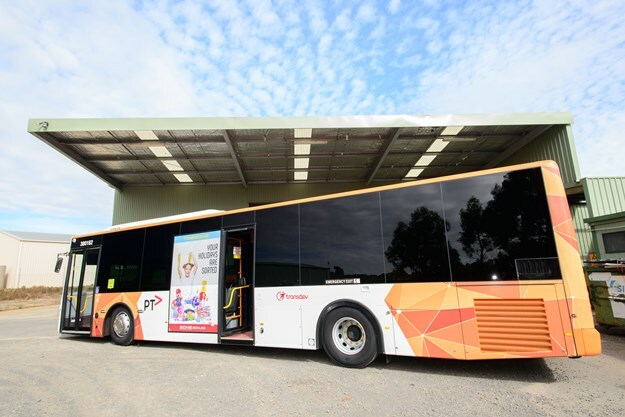 The first of the buses will be deployed around the greater Melbounre area.